Rodents are dangerous pests at home. Infamous for carrying deadly diseases and contaminating food in the kitchen, they are known to damage electronics, household appliances, wiring etc. 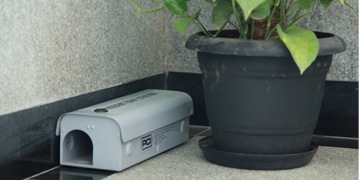 PCI’s PiedPiper® service is a specialized rodent management system that offers multiple control technologies. PCI’s trained experts inspect the affected areas and strategically use our in-house products such as Trubble Gum® and Roban® with our Rodabox™ technology in external areas. We offer an Annual Contract that includes regular check-ups and monitoring visits for common areas, row houses and bungalows. For individual apartments, you can buy our products (Trubble Gum® & Roban®) from a local medical store. PCI is unmatched in its capability to rid households of rodents in an efficient manner using its state-of-the-art in house technology that adheres to International Food Safety standards. PiedPiper® is a tried, tested and trusted service over several years. © 2015 Pest Control (India) Pvt. Ltd.